Happy Thursday my sweet friends! If you scroll through Instagram long enough (about 10 minutes) you'll most likely notice that many bloggers, regardless of their niche, are sporting a Daniel Wellington time piece and perhaps you've wondered if they're worth the hype or just a clever marketing tactic. If your thoughts aligned with the latter, I must admit I too thought the same thing. Now, I'm not saying that they didn't look beautiful or unique to spark my interest, I just wasn't sure if there was anything that truly set the brand apart that made nearly every influencer love and suggest them. Well, I'm here to tell you that they are worth the hype. The watch I'm wearing above is from their new Classic Petite collection, which Kendall Jenner has become the face for. I have to be honest and say that I was quite intrigued to see her modeling the watch and thought to myself, this has to be a notable brand for her to represent, since she's the face of highly reputable and iconic fashion houses. So, when I was presented with the opportunity to select a watch of my choice for review, I agreed and chose the rose gold Melrose with the white dial design (they also have a black dial option). It's absolutely gorgeous; I feel the photos really don't do justice in truly showing the elegance and craftsmanship of the watch, which is impressive for the price point (under $200)! I've been wearing it every chance I get since receiving it, as it goes with any outfit and can be easily dressed up or down. Yes, I think you can wear this particular style at a cocktail party or black tie event because the mesh strap makes it so versatile and classy! With Mother's Day only a few weeks away, I think this would make for a wonderful gift. 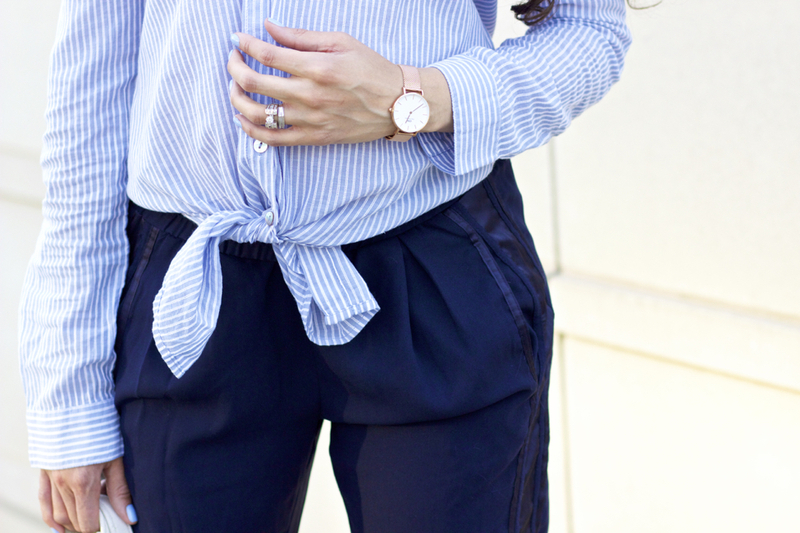 Daniel Wellington has an array of style choices, but I feel any of the styles from the Classic Petite collection would be most suitable for the occasion. I believe your mom would get the most wear out of it, since like I've mentioned, it's perfect for both casual and dressier occasions. 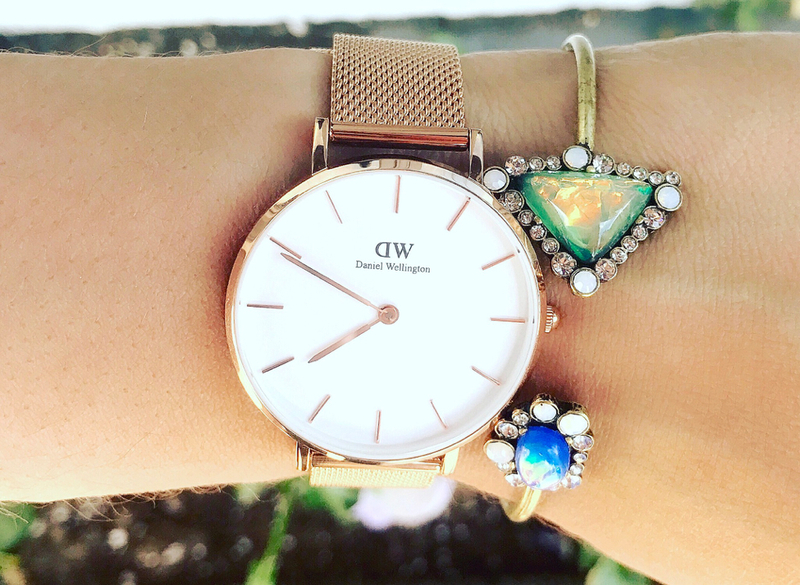 Their watches are sold at a few retailers, such as Bloomingdales, Lord & Taylor, and ShopBop, so they're easy to come by, but what's awesome is that DW has provided an exclusive coupon code for you to save 15% off your order with code STYLECONTOUR, to be applied at their official site! Hopefully this gave you an affordable gift idea for mom and perhaps for yourself too, if you're in need of a new timepiece. Thank so much for stopping by, my dear friends, and I hope you're having a great day so far!